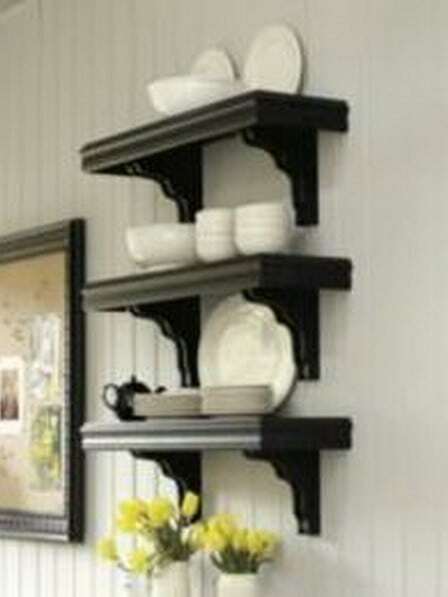 Great way to add beautiful shelving to an otherwise boring wall! We saw a 3 tier wooden shelf in a magazine and wanted to build it ourselves. 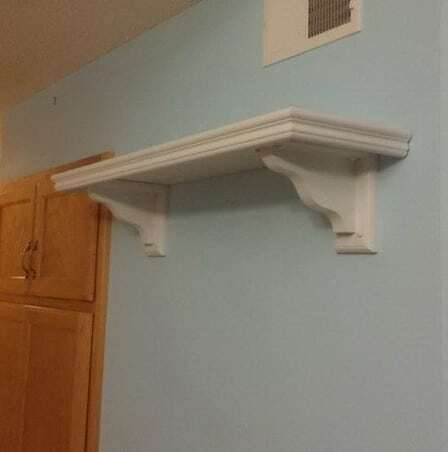 Making this from the parts at our local home improvement store cost a little more than buying the shelves prefabricated but we got to make them exactly how we wanted. The wooden wall shelf brackets were $7 dollars each. The wood for the actual shelves were about $4 dollars each and were already cut. The trim for each shelf was $5 dollars and was also already cut. The white paint was leftover from another project. We secured the shelves to the walls by screwing long screws into the wood studs instead of plastic wall anchors. See below for a brief step-by-step in pictures. The picture of the shelves we saw in a magazine. 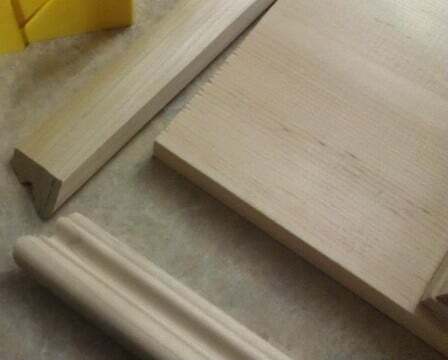 Here is the shelf, brackets, and side trim pieces. A closer view of the side trim pieces that were secured to the shelf using construction adhesive. 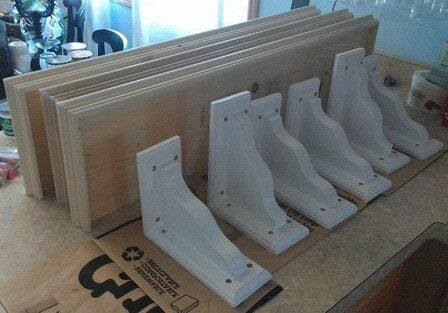 The shelves are assembled with the trim pieces and the brackets have been painted. 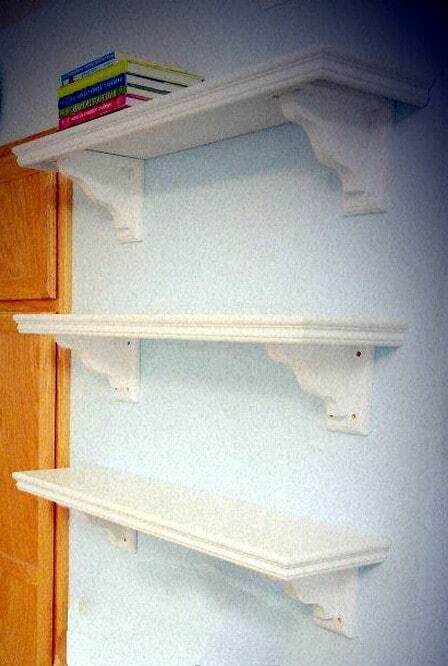 The shelves were painted with 3 coats of our good quality white paint. Found the best place to mount the shelves, measured, found the studs, and began to secure them into the wall. Here are all 3 shelves attached, spaced evenly on the wall and looking great!